"Remember, remember! The fifth of November, Gunpowder treason and plot" will be familiar to our UK readers [happy fireworks night!] but less so to our American ones. However it is also relevant [ahem] because the MID-TERMS ARE TOMORROW AND PLEASE PLEASE VOTE! We know they have made it annoyingly hard in some states, please persevere! Faris is a permanent resident not a citizen so he can't vote in USA [no taxation without representation what...] so please do him a solid and VOTE! [He votes in the UK]. Rosie has already voted remotely. Seriously, please please VOTE. We love you. 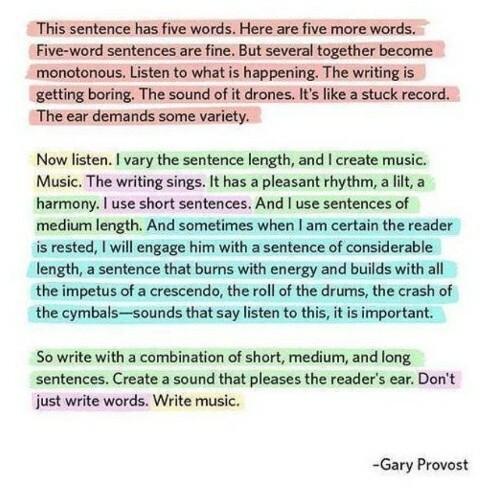 Lovely writing advice from Gary Provost. when you know when to break them, you are becoming a writer.